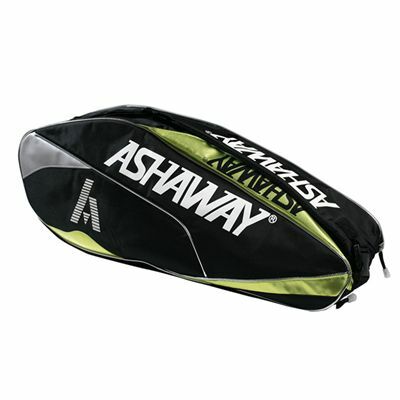 The Ashaway Double ATB857D racket bag features 2 spacious racket compartments that can carry up to 3 rackets each (6 rackets in total). The bag utilises a heavy duty thermo protective material to ensure the rackets are separated from the outside temperature changes. The bag’s additional side compartment is ideal for storing smaller accessories, whereas the separate shoe compartment allows for keeping the shoes separately from other belongings. Easy carrying is possible with the shoulder/ backpack carry straps and handles. for submitting product review about Ashaway Double ATB857D Racket Bag.